Plot Summary: In 2026, two years since the SAO incident, a new game called "Oridinal Scale," an Augmented-Reality MMO, is becoming popular among the players. 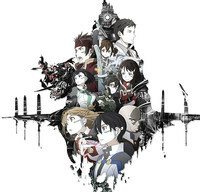 But strange things are happening in the game and Kirito and the gang are facing a new danger. Shanghai Soloyo Infotech Co., Ltd.